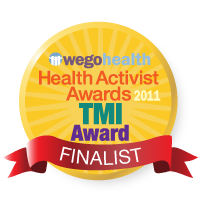 I received a message from Feedbot, that they named Picnic with Ants one of the top 100 chronic illness blogs. You can see all of the blogs and websites who are honored to be listed in the top 100 here. A chronic illness is a human health condition or disease that is persistent or otherwise long-lasting in its effects or a disease that comes with time. The term chronicis often applied when the course of the disease lasts for more than three months. These are the Best Chronic Illness blogs from thousands of top Chronic Illness blogs in our index using search and social metrics. Data will be refreshed once a week. There are some great blogs listed, so be sure to check the 100 Best Chronic Illness Blogs according to Feedbot. That is super cool! Congratulations!! That is awesome and well deserved! Congratulations! Aw shucks Maureen, you make me blush.